How long have you been a Creative Minds Artist? Just over three and a half years. I started in October 2015, and have renewed my franchise for another 3 years. Tell us what you have been up to today? I like to start early so by 7:45am I was enjoying a coffee, listening to Classic FM in my PJs whist beginning my prep work for today’s art sessions. I had two floral-themed sessions planned, so cut out templates, created a prototype and prepared some musical playlists to take along to the sessions. This took around an hour. I then got myself dressed and ready to leave the house by around 10:15am. I’m lucky because all of the Care Homes where I am based are all close to where I live. I arrived at St Dominics Care Home in St Leonards-On-Sea and started the session around 10:30am. 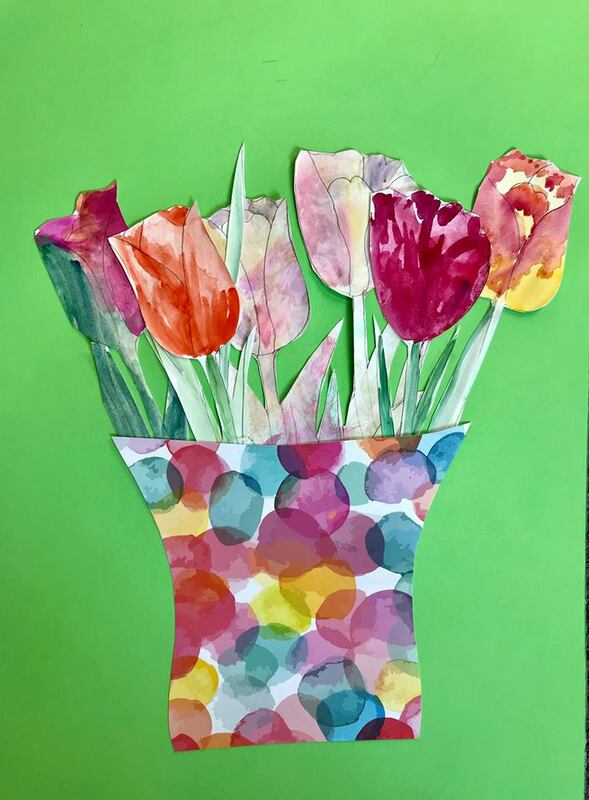 I worked with eight residents to create their own tulip collages. I got them to paint the flowers using watercolours, demonstrating different techniques for them to try. We then mounted the tulips onto card adding the vases to create a collage. I love engaging with the residents and chatting about memories that may stem from the theme of the sessions. There’s often lots and fun and laughter. The session finished around 12pm, and all were thrilled with their work. I drove home for lunch and an hour of downtime before I headed out for the afternoon. I arrived at Whitebeach Care Home in St Leonards-On-Sea around 1:30pm. The home had booked an extended session with me, as work was being carried out on the building. 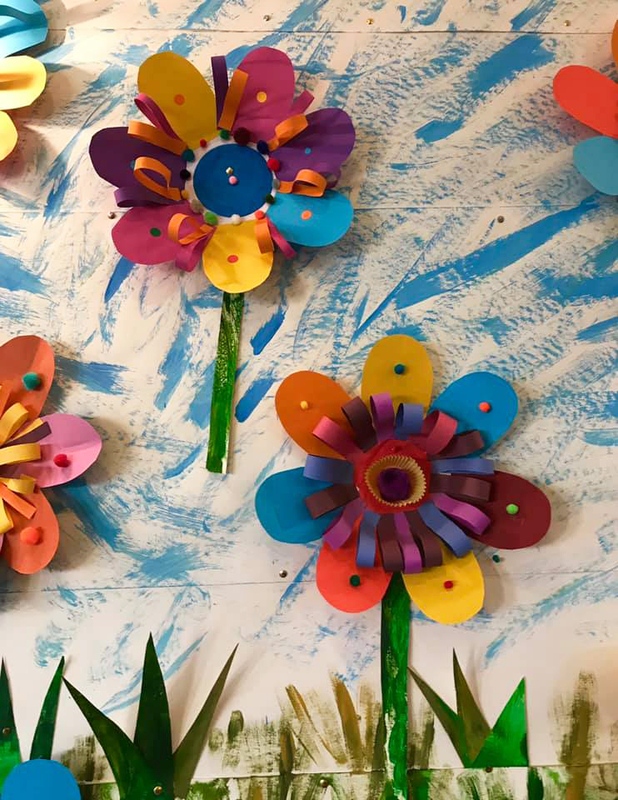 A group of residents worked on a collaborative “funky flower’ wall display. 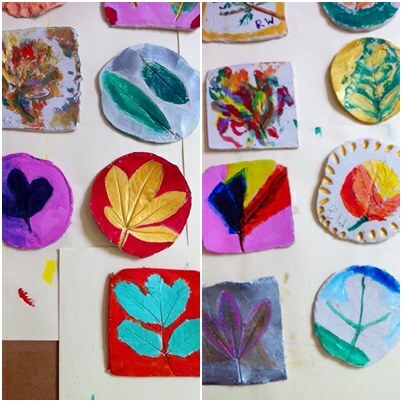 They all enjoyed painting the backdrop using acrylics, then each created their own 3D flower out of paper plates. The music I prepared was playing in the background, and it was all very upbeat and fun. Once the completed piece was up on the wall, one lady who took part came and hugged me with a tear in her eye. She was so thrilled with the outcome. It’s moments like this that make me really love my job! It is great when homes display the artwork that the residents create. Not only does it brighten the surroundings, but relatives and visitors always appreciate seeing their creations when they come to visit. I arrived home by around 4:30pm to finish my working day, and grabbed myself a cuppa whilst popping onto the Creative Minds Community Facebook group to share a few pics from the day. The support from the artists is incredible, and it is a great resource to tap into for ideas and advice. What would a typical week look like to you? I’d normally run on average around five-six sessions per week. Sometimes weeks are busier but that is around how many sessions I’d aim for. Including prep time, around 23-24 hours per week. Where do you get inspiration from on how to carry out your art sessions? 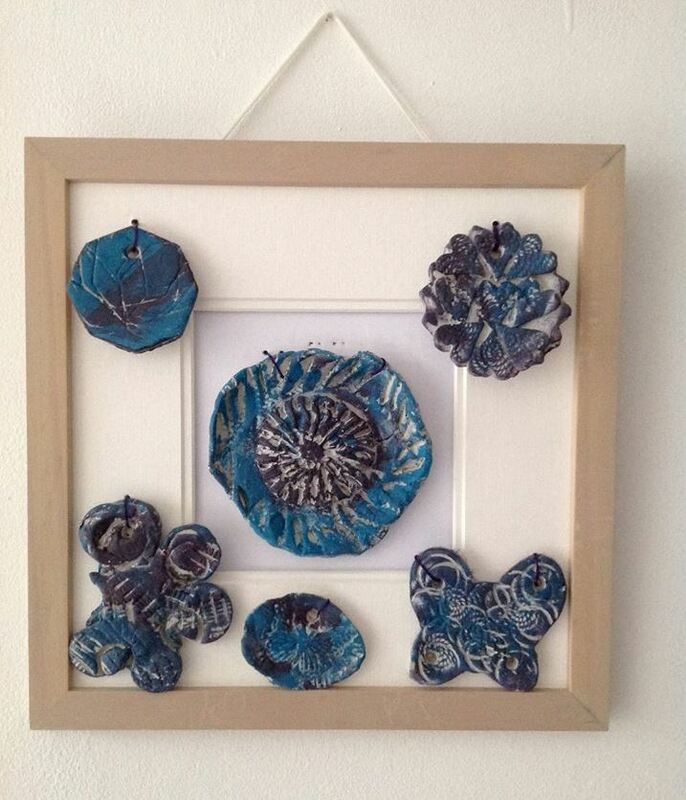 Previous artwork that I’ve created, other artists, exhibitions I have visited, the fact that I live by the sea! I can base my sessions around nature, seasons or topical themes. Anything that is happening in the wider world. I also tailor themes of sessions to client’s interests and hobbies. I tap into the Creative Minds Community who share great ideas with each other. I also like to work with recycled/up-cycled materials. What first attracted you to the Creative Minds franchise opportunity? The opportunity to run my own business with full support. I wanted to be able to get creative again with a care group that I am passionate about having lost both of my parents to dementia. I was also attracted to the opportunity to be able to work flexibly, and work hours that would fit in better with family life. I wanted to be around for my daughter more and being a Creative Minds Artist offered a working solution that would let me choose the hours I wish to work. What do you like best about being a Creative Minds Artist? The job satisfaction I gain. I love to see the reactions from clients and pride at what they can achieve. It’s so rewarding to see how pleased they are to see me when I arrive. This type of feedback is the best motivation anyone could ask for. Knowing I’m making a difference to people’s days. 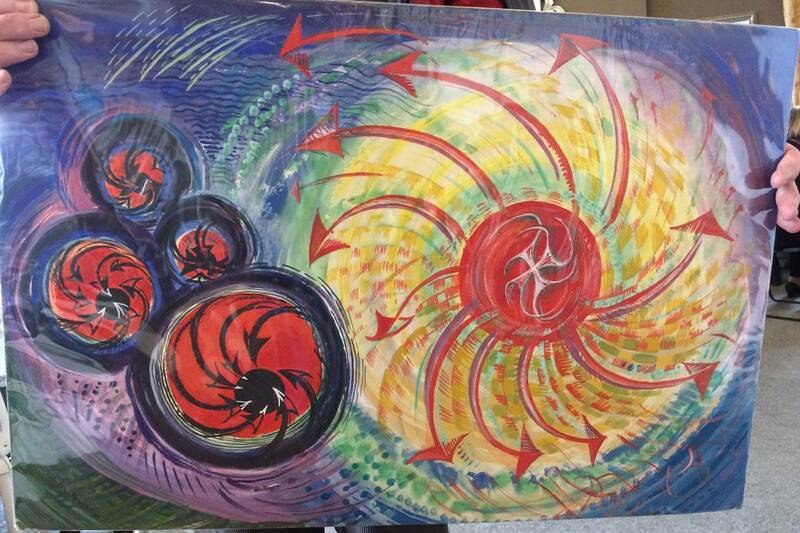 Resident Amazes With Stunning Paintings! 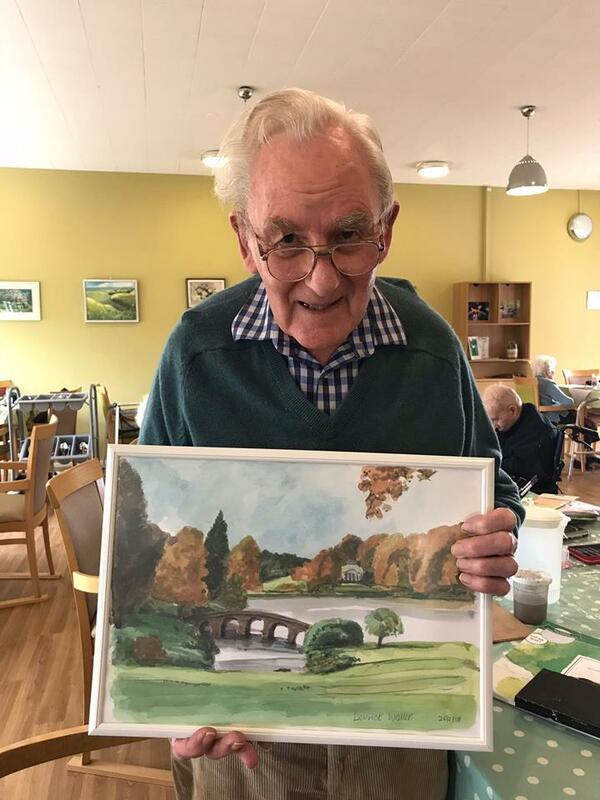 After a 16-year break from art, Derrick Waller, resident at Saxonwood Care Home in Battle has re-ignited his creative flair since participating in the art sessions. 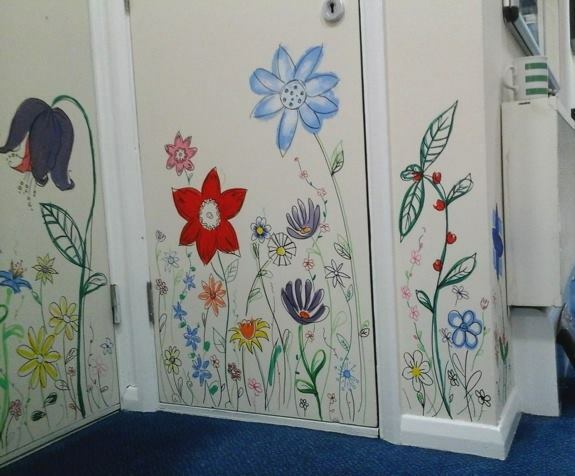 The staff are delighted to see such beautiful artwork produced by a resident. Derrick had a long career as an artist and illustrator and regularly exhibited work. Sadly, following the loss of his wife, he lost his creative passion and no longer felt inspired to continue his artistic practice. His daughter tried to encourage him to attend local art classes, but he was not interested. 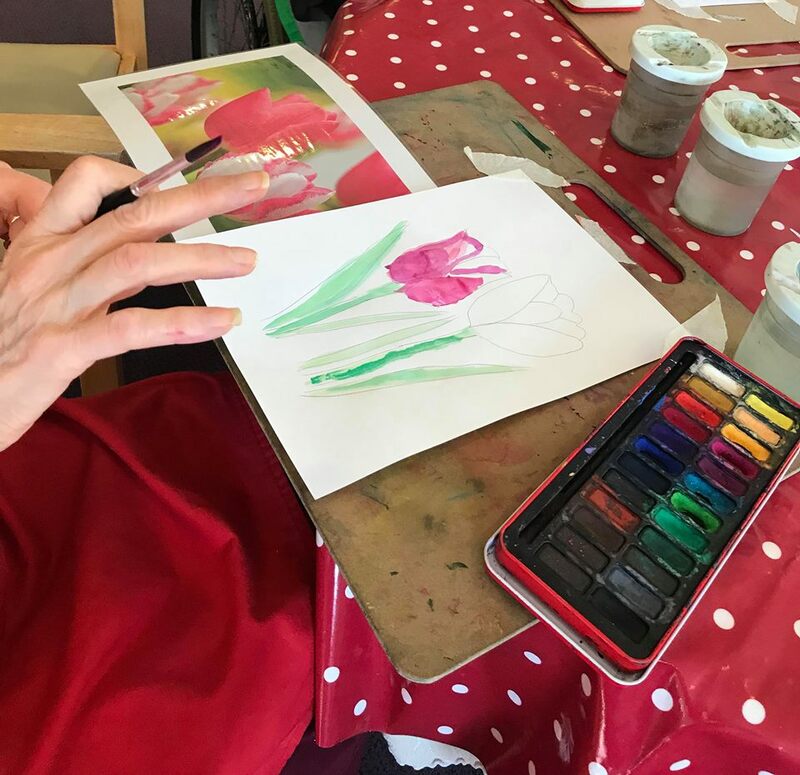 Then at the beginning of last year, he moved to Saxonwood Care Home where Creative Minds artist Sarah Bryant persuaded him to join her art session. For the first time in 16 years he picked up a paintbrush again, and has once again become immersed in his creative practice. With a sparkle in his eyes, Derrick proudly shares the artwork he produces with residents at Saxonwood. 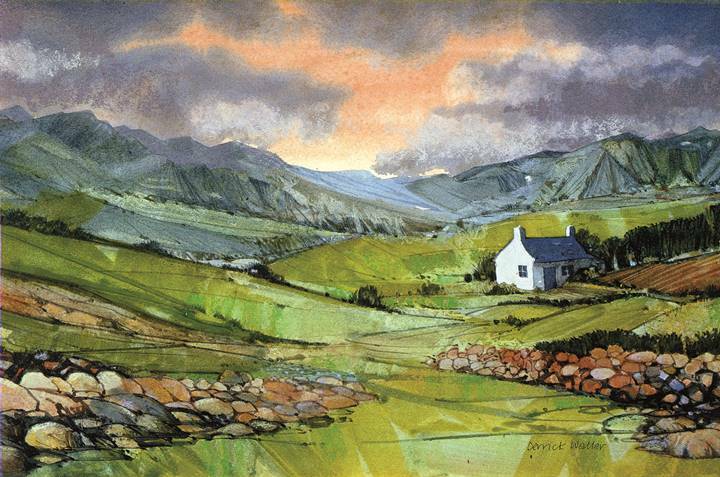 All thoroughly enjoy viewing his diverse collection of work, which includes paintings, sketches and ceramics. 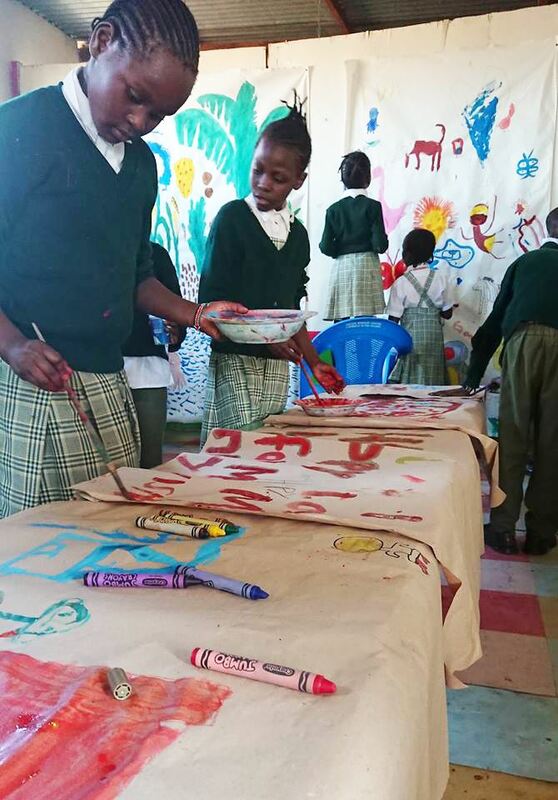 Children at a Kenyan School Get Creative! 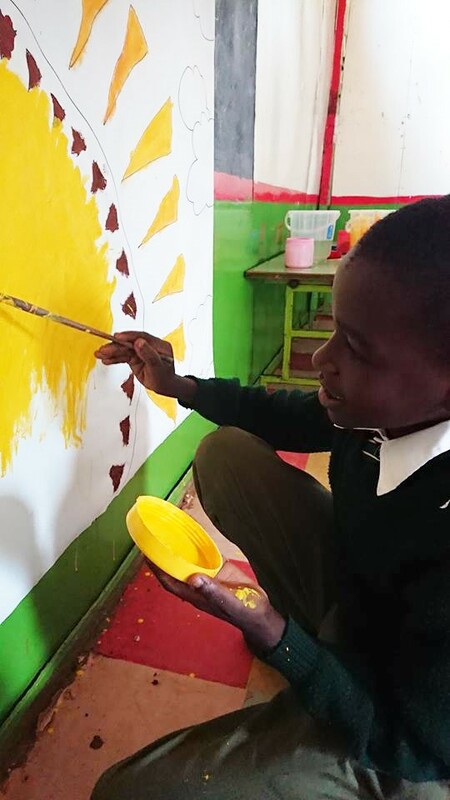 Our CM Artist Grace is a trustee of Dominion Schools Africa – a charity that provides financial support to a Kenyan school and helps to assist the school in providing high-quality education. 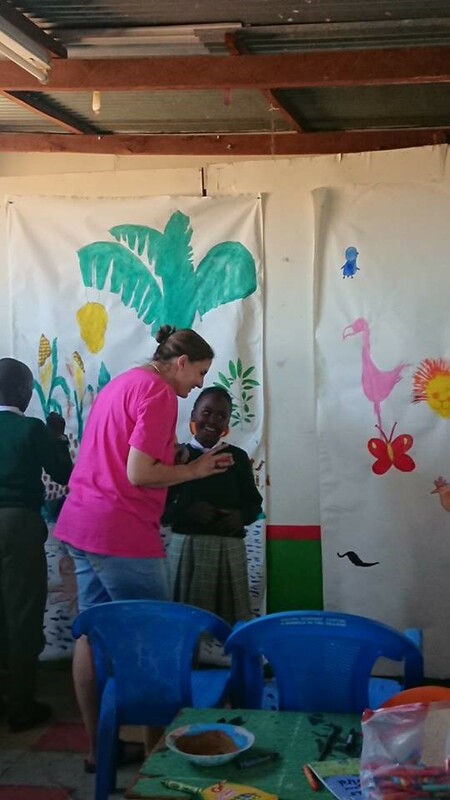 In November, she went out to Gachie, in Nairobi to visit the school. The school year runs from January – November, so she arrived just as they were preparing for their end of year graduation which celebrates the 6-7 year old’s moving up to the junior school. Grace saw this as a perfect opportunity for the children to get creative in preparation for graduation day. There is very little creative work in their school curriculum, and the school didn’t have many artistic resources. Grace had taken over some paint brushes and the school had pots of powder paint. That morning, Grace went shopping with the school’s head teacher and purchased some sturdy material to paint on. 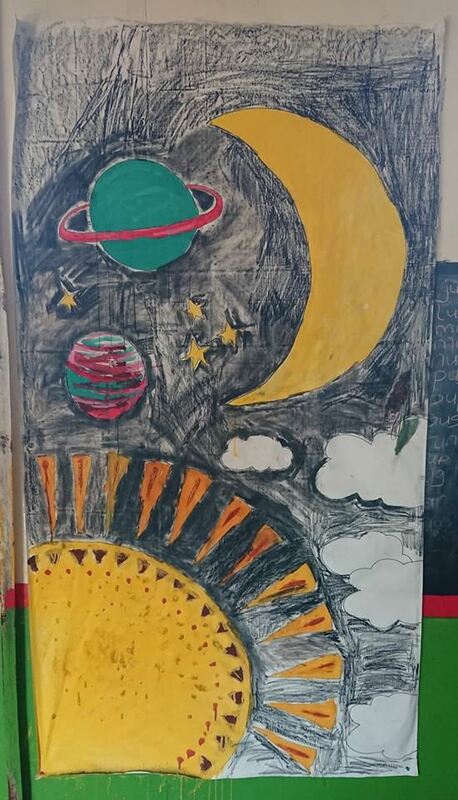 They decided to make some wall hangings on the theme of the biblical creation story. Children from the school dropped in and out throughout the day and absolutely loved getting involved! Many had never had the opportunity to paint on such a large scale before. They even made some of their own paint using local earth mixed with water. The teachers were absolutely blown away by their efforts and thrilled to see how enthusiastic the children were. 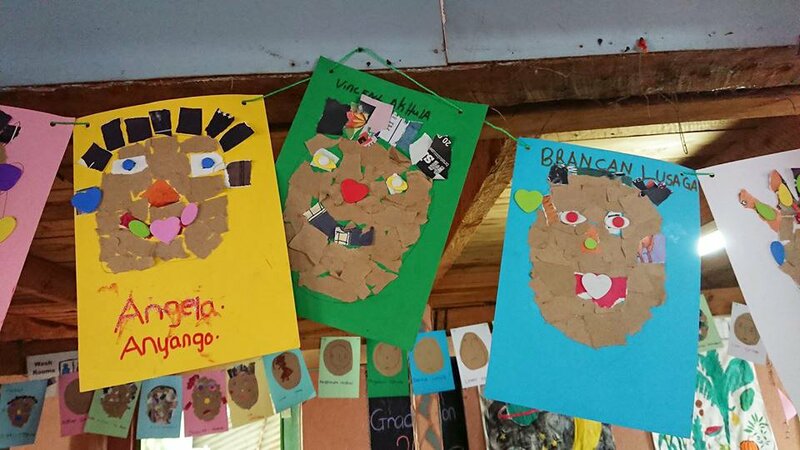 Grace wanted every child in the school to have a go at creating their own self-portrait to hang up on graduation day. They experimented with mixed media and used paint, crayons and collage to create their own personal portrait. All were thrilled with the results! 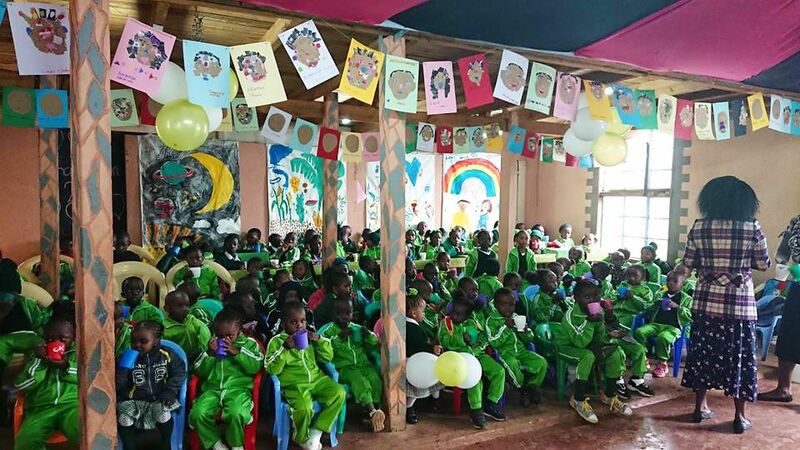 The school is generally very structured with little opportunity for creative expression. 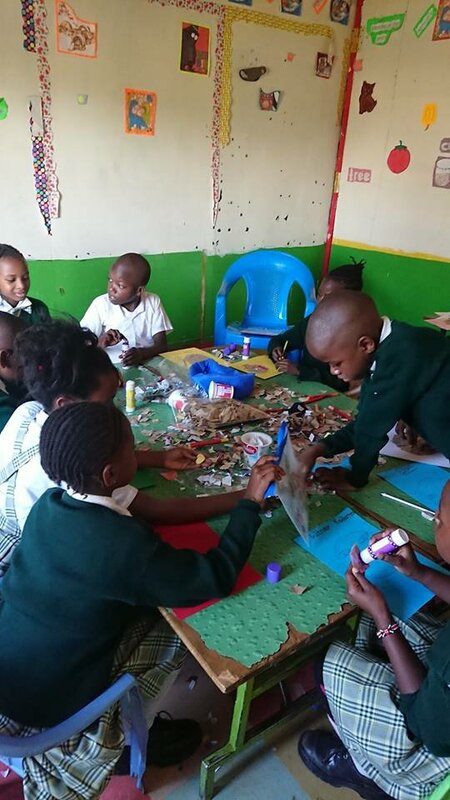 At the end of the session, Grace allowed the children to have free reign to explore ways of using the artistic materials, and create whatever they wanted to. They all went wild and loved the freedom of the activity, saying how much fun they were having. 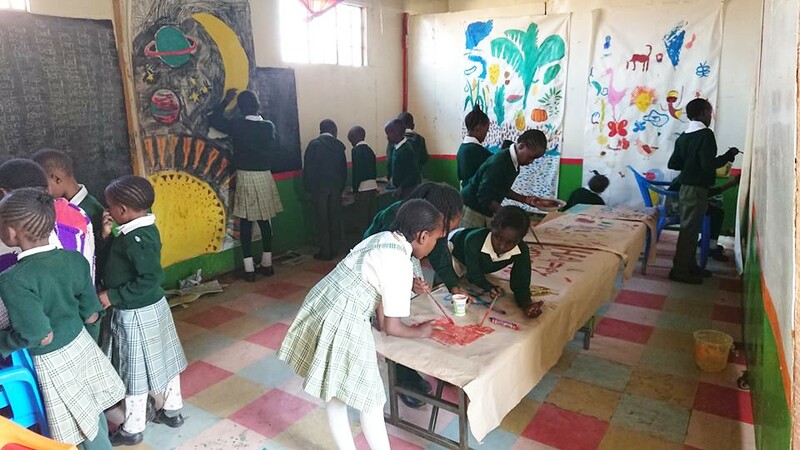 The school had never displayed artwork on the walls before, but the teachers loved the difference it made to the building. 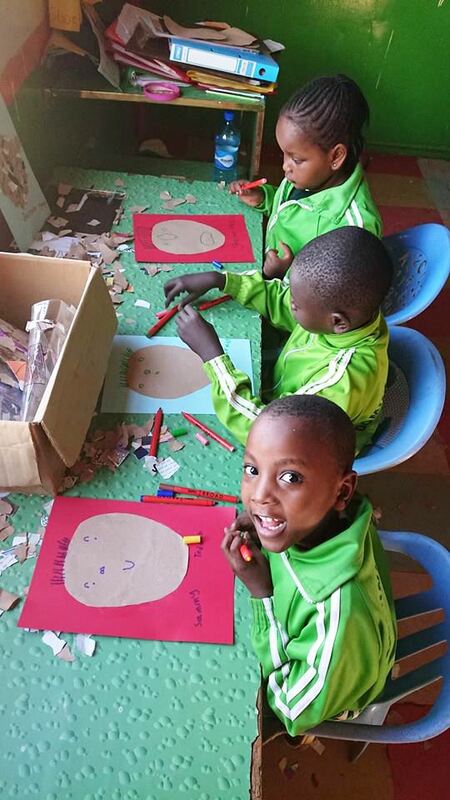 The teachers were thrilled to see how happy the children were during the art session, and chatted to Grace to discuss ways in which art could be brought into other subjects such as history and geography. 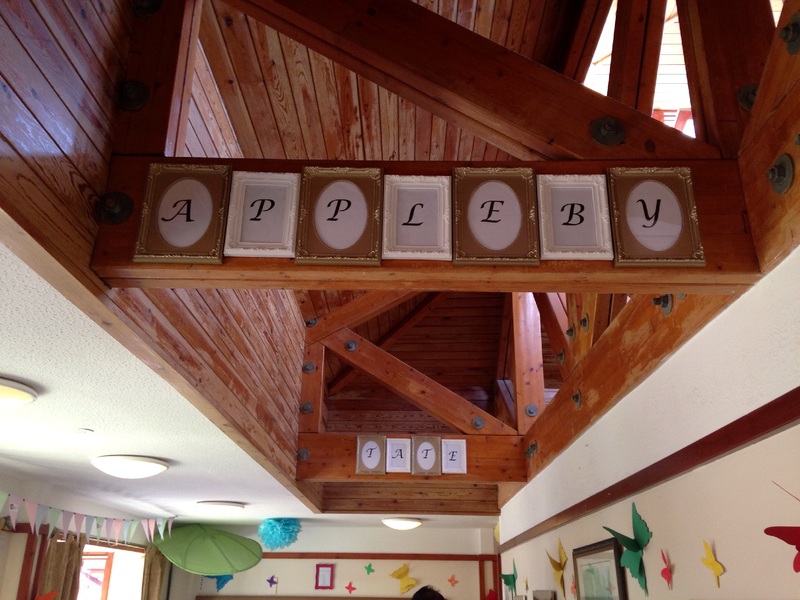 The children were so proud of their work at the end of the day, and were delighted to see it hung up on display. Before she left, one little boy came to Grace and said he’d had the “happiest day ever”! A talented resident from an East London residential home for adults with learning disabilities, won a local competition to create a spectacular piece of art to promote a Learning Disability Week Celebration Event in the London borough of Newham. The winning artist, Dele, created an abstract artwork in pastel, that was printed on T-shirts and presented to him at the launch party of the event at Stratford Circus Arts Centre on 29 June 2017. 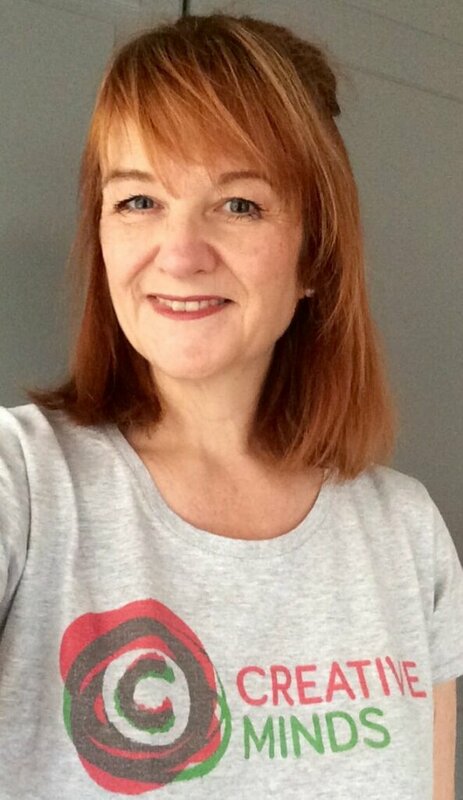 Community Artist, Elaine Harper-Gay, who delivers art sessions at the small residential home where the young artist is a resident, spoke of how proud she was of his achievement and was thrilled to see him on stage to receive a T-shirt with his very own artwork printed on it. The compères of the stage show also wore the artwork on their T-shirts. 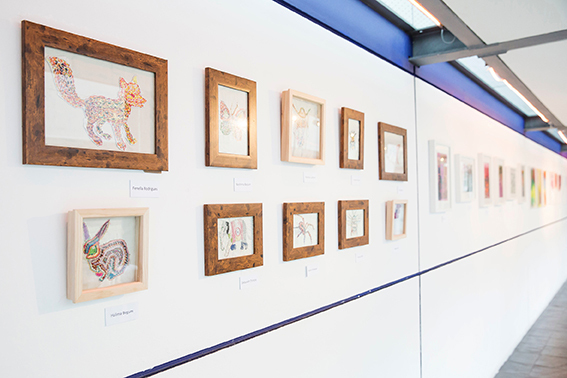 An exhibition of artwork in celebration of Learning Disability Week was on display at Stratford Circus from 16 June – 13 July 2017, where a total of four residents from the residential home also had their work included. Elaine Harper-Gay has been delivering art sessions to the residential home for 18 months and seen the residents grow and develop throughout this period. The residents have found the art sessions incredibly beneficial and enjoy the variety of ways they are able to express themselves. Congratulations to Dele for winning the competition and the residents who exhibited their work. 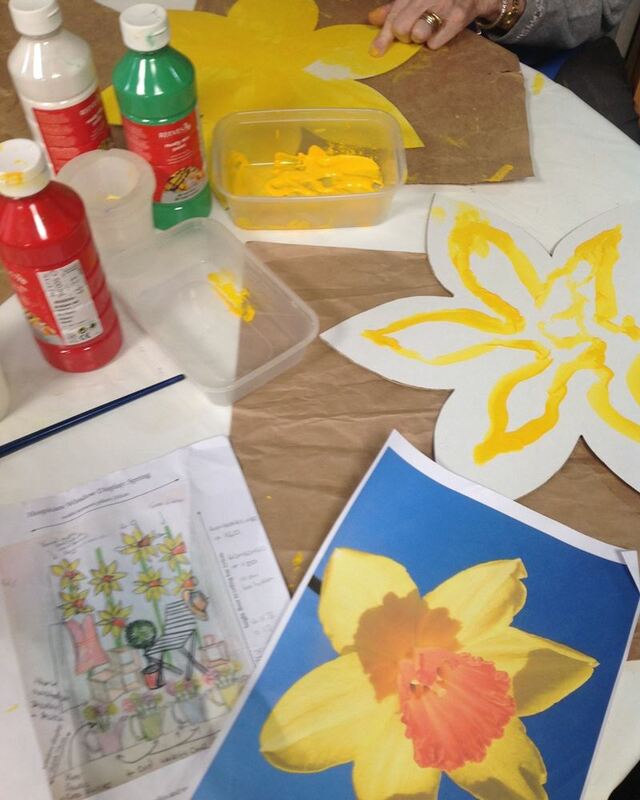 We’re looking forward to seeing what the residents create next in future art sessions. We encounter so many residents with incredible life stories like 97 year old Joyce Cheverton, a resident at Nightingale Hall Care Home in Richmond, North Yorkshire. She’s an inspirational artist and is still creating wonderful artwork today! 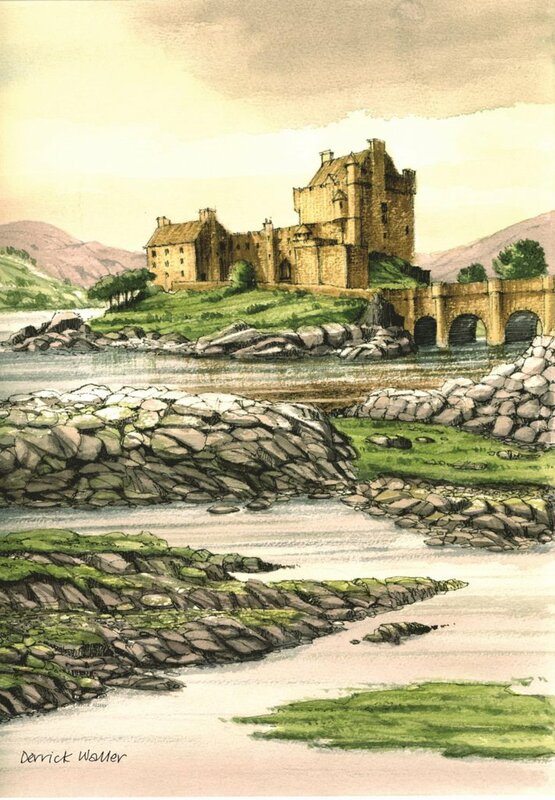 Here’s Joyce’s artist story including photos of her artwork. 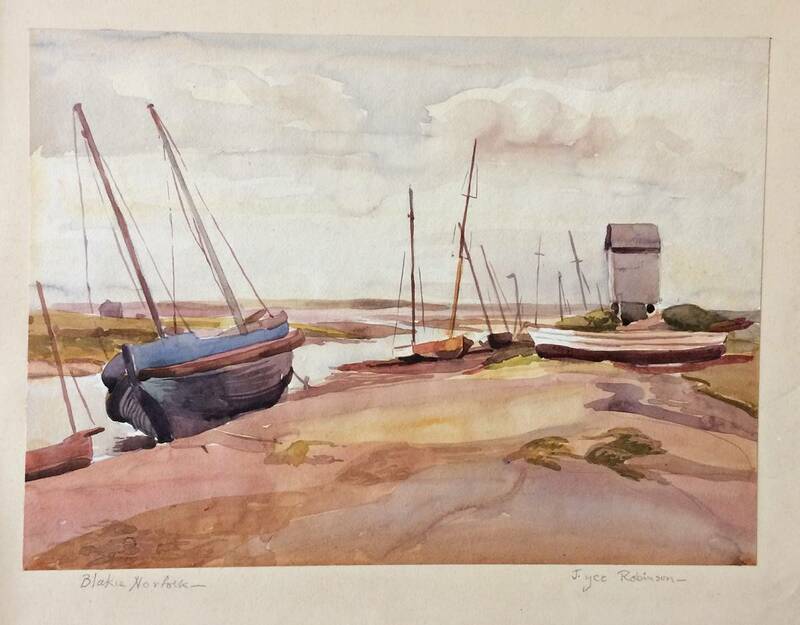 Born in Harrow in 1920, Joyce showed remarkable artistic talent from an early age, producing saleable oil paintings while still at primary school. She studied for three years at Harrow College of Art and stayed for a further year as a tutor. During the war years she taught art at the girls convent school in Willesden. When the sirens went she took her class to Willesden underground station which served as an air raid shelter. 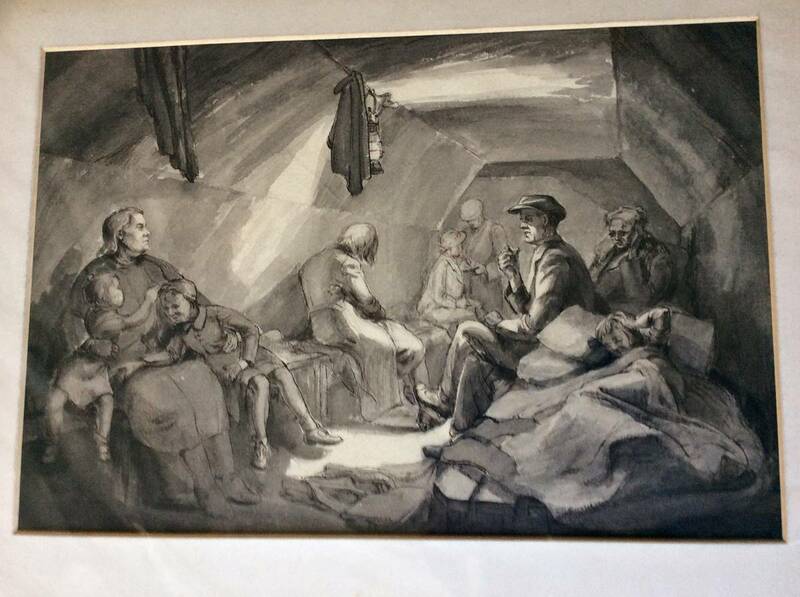 Joyce’s shelter sketches are some of her most poignant works. Joyce met and later married David Cheverton, a young RAF officer, in a class of RAF officers she was instructing in the art of camouflage. David became an architect after the war and later a vicar. 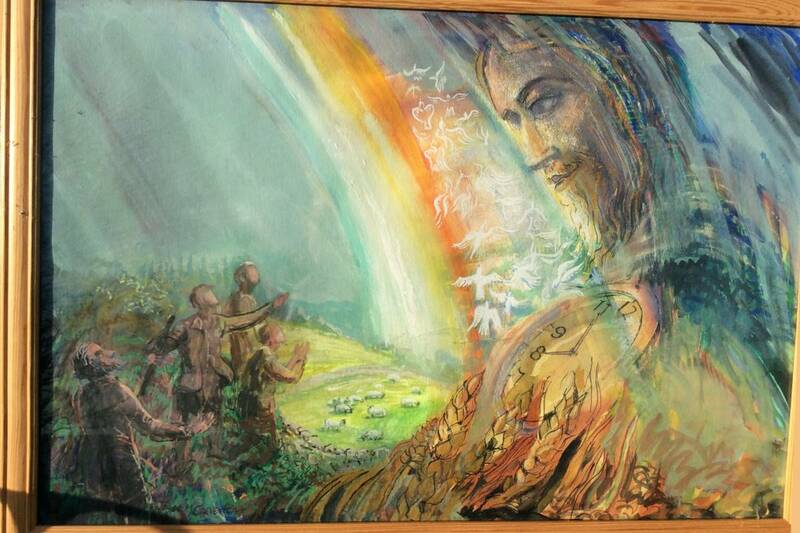 Joyce supported his ministry with her art. Throughout her life Joyce was prolific in many forms of art – oils, water colours, posters, engravings, Lino cuts, wood block printing from blocks she carved herself, book illustration and cover design. She painted a huge four wall mural for a London cafe and designed a lounge for a Cunard liner. David and Joyce retired to a bungalow he designed in Preston-under-Scar. Their son Mark and his wife Lottie founded an Art College in Leith which flourishes to this day. 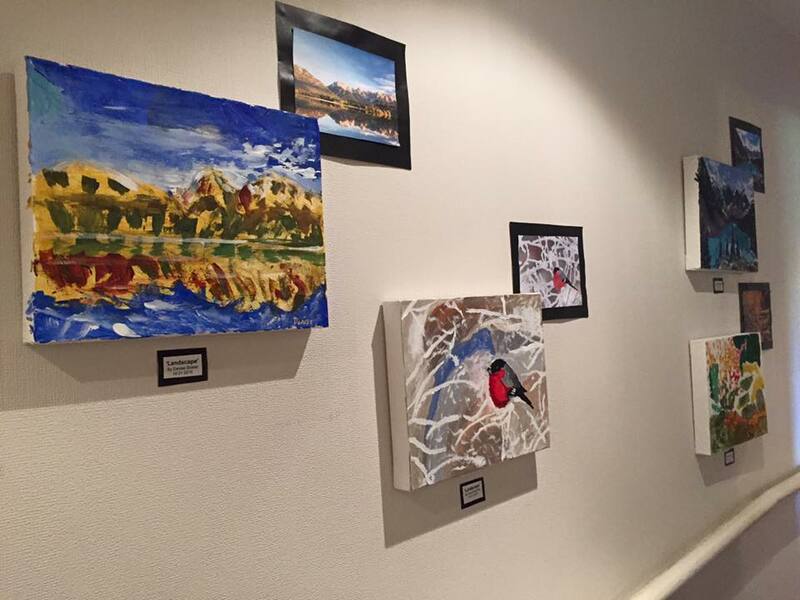 Thank you for reading, we hope to inspire you with many more resident artist stories! 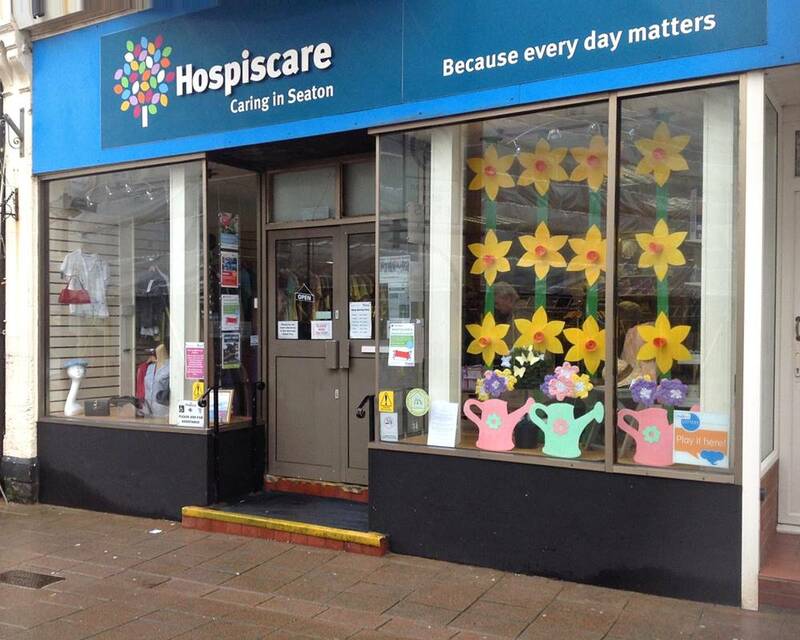 Gorgeous Daffodils Adorn The Seaton Hospicecare Window! 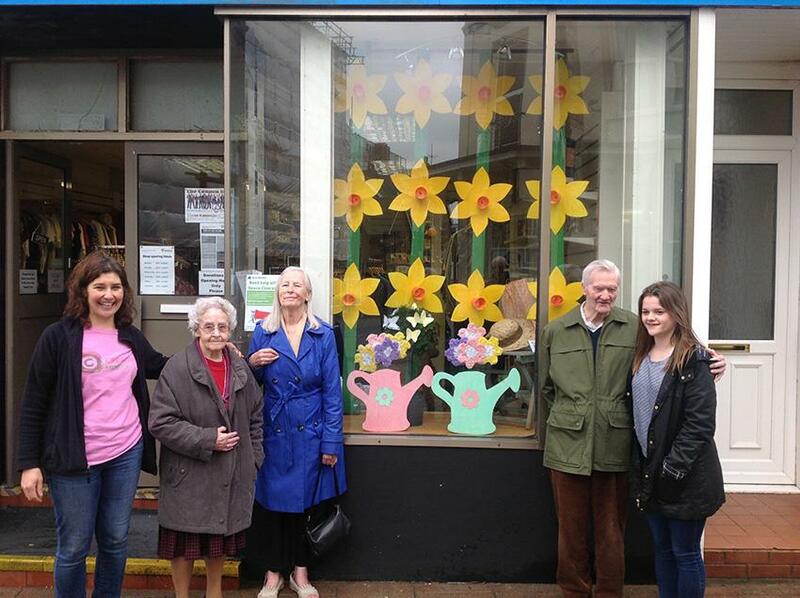 The residents from Thornfield Care Home (Seaton, Devon) with help from Maria, CM Artist have created a wonderful daffodil window display for the Hospicecare shop in the town centre. 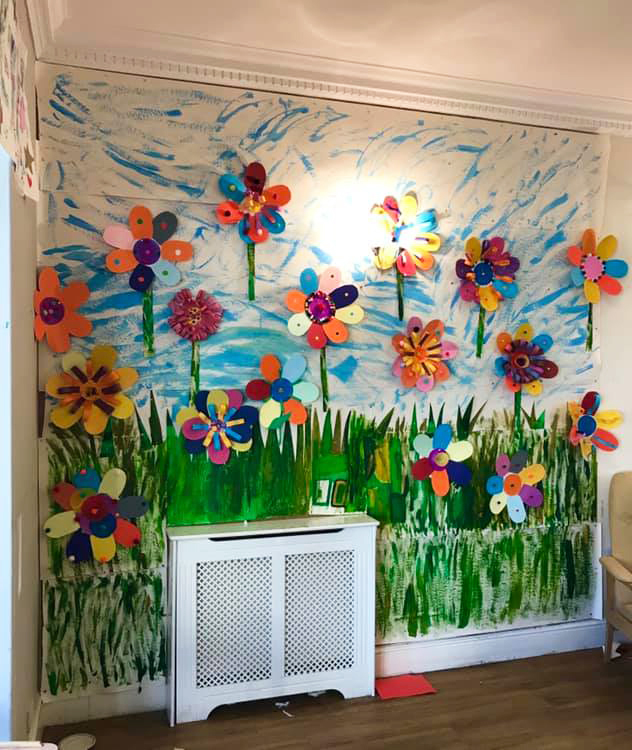 The Art Project has taken the residents around 5 sessions to complete and the result is marvelous, its bright, cheerful and inviting! 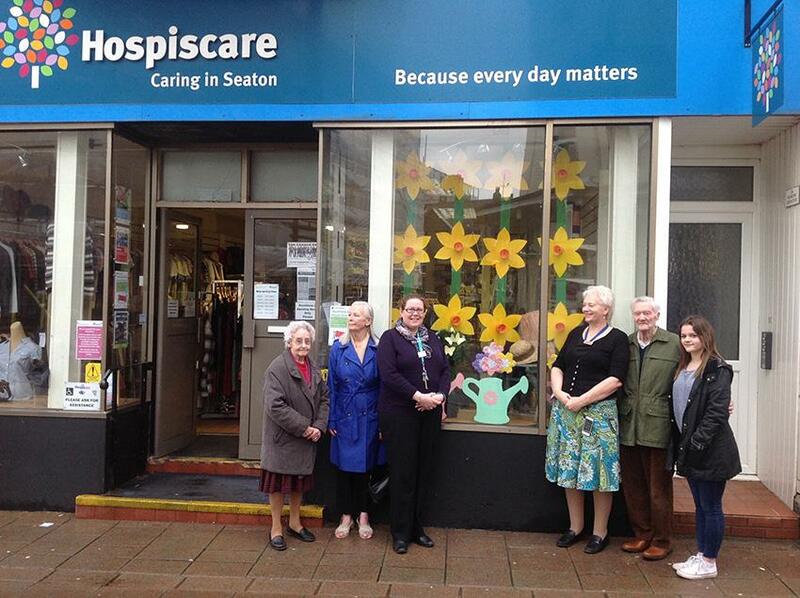 The Major and other Councillors hope to make Seaton a Dementia Friendly Town and Maria has offered to talk about art and the benefits for those with Dementia at their next town meeting. Here are some of the Art Session photo’s followed by the final window display. 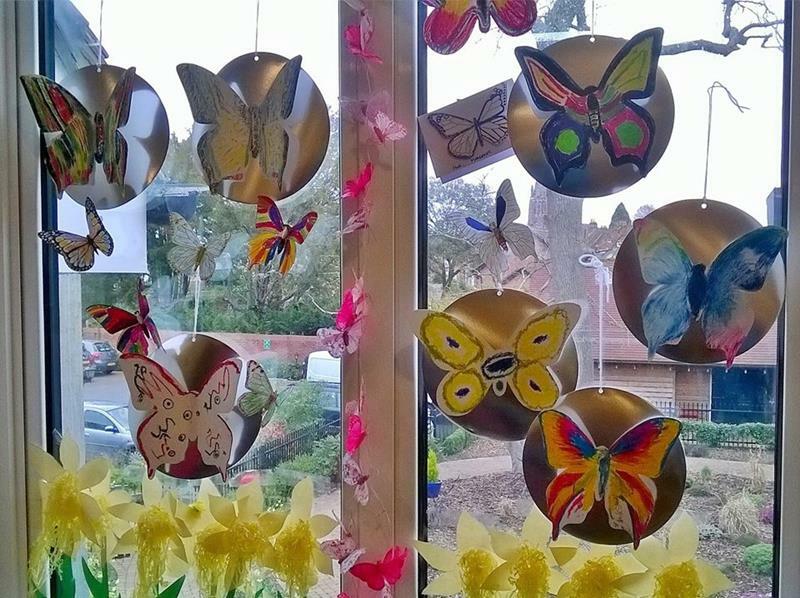 This Spring window display was created by residents living at Thornfield Care Home in Seaton in conjunction with artist Maria Bowers from Creative Minds. 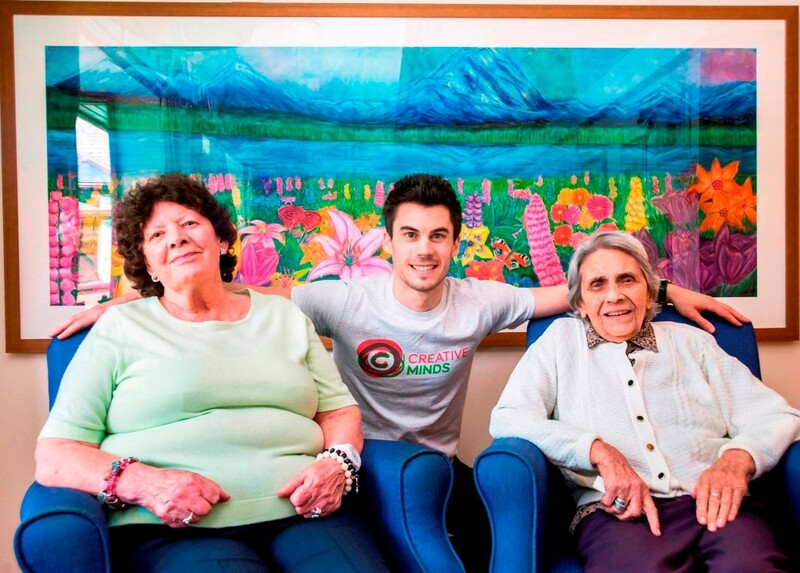 Thornfield specialises in dementia care and is rated “Outstanding” by CQC. Thornfield is part of Cannon Care Homes who also own The Check House in Seaton and Silverleigh in Axminster. 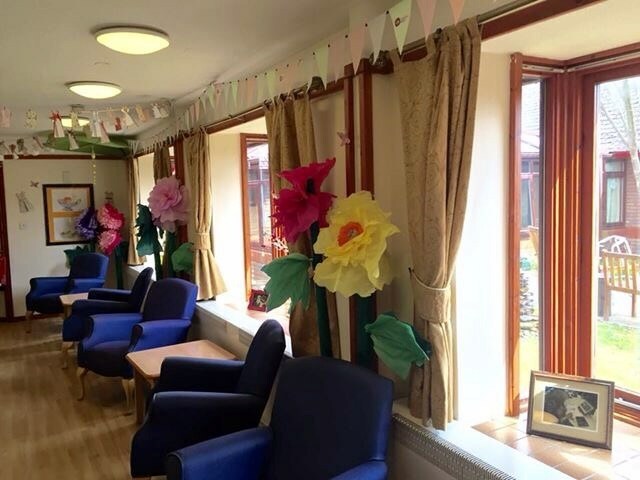 Thornfield Care Home would like to thank Louisa Dayman and the staff of Hospicecare for their continued support and involvement including the Spring window display. 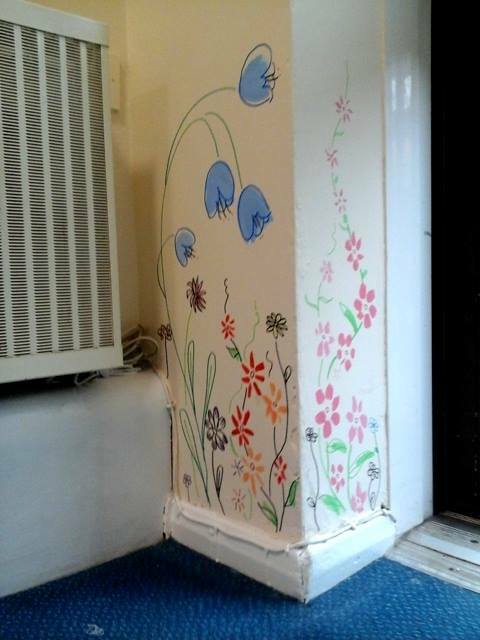 Brightening up Care Homes with Marvelous Murals! 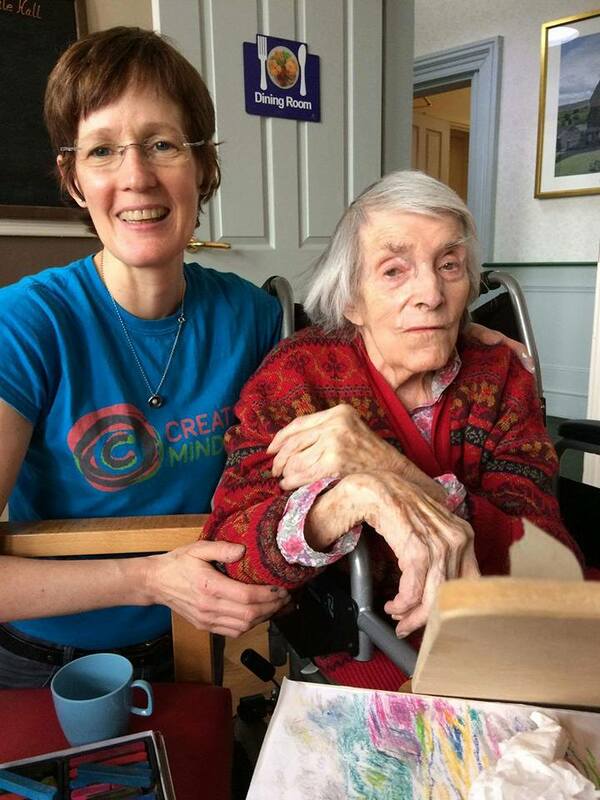 Our Creative Minds (CM) Artist’s visit a huge variety of care homes and other venues every month reaching over 1000 participants in their Art Sessions. 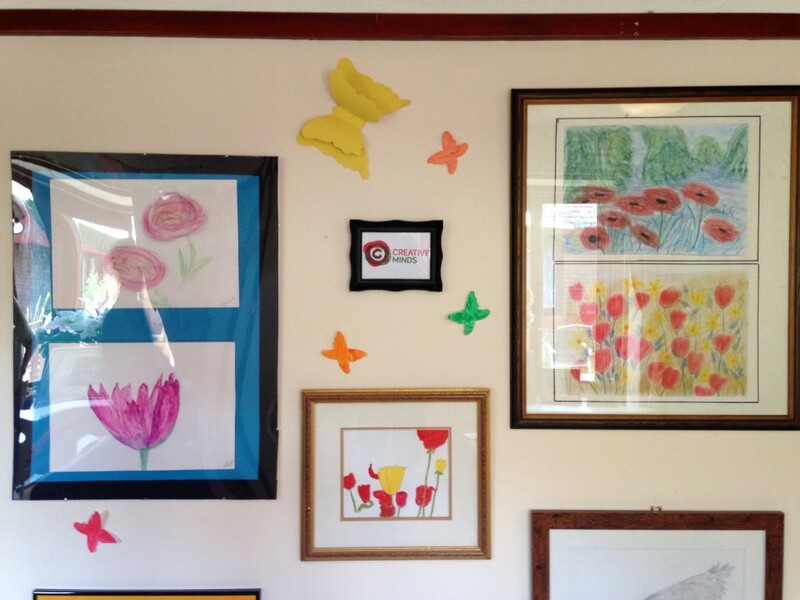 Lots of artwork is created by the participants and so we try to encourage all of the care homes and other venues we work with to display the artwork on the walls to help create a vibrant and stimulating environment. 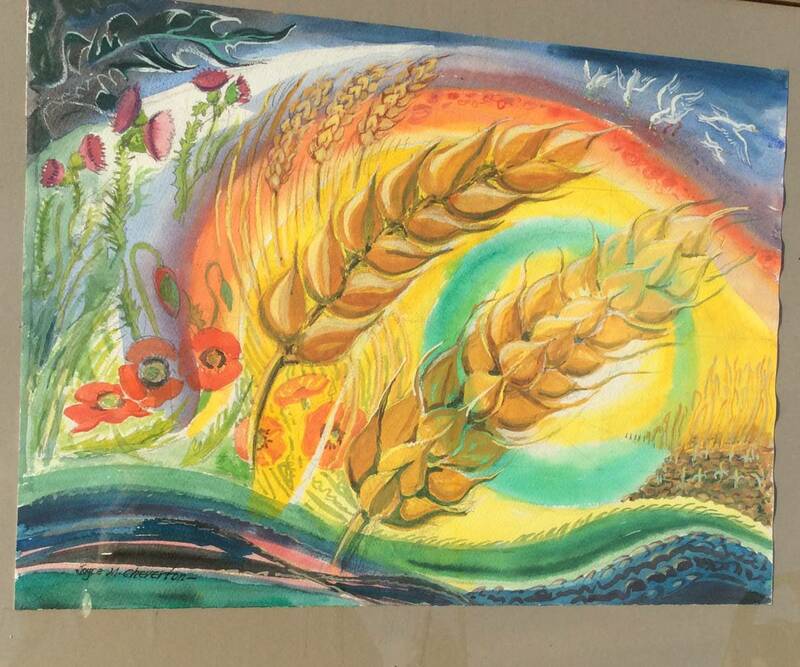 All of the care homes that have displayed the residents artwork on their wall have noted not only the positive impact its had on the residents but the impact its had on the care environment, giving the home more vitality. 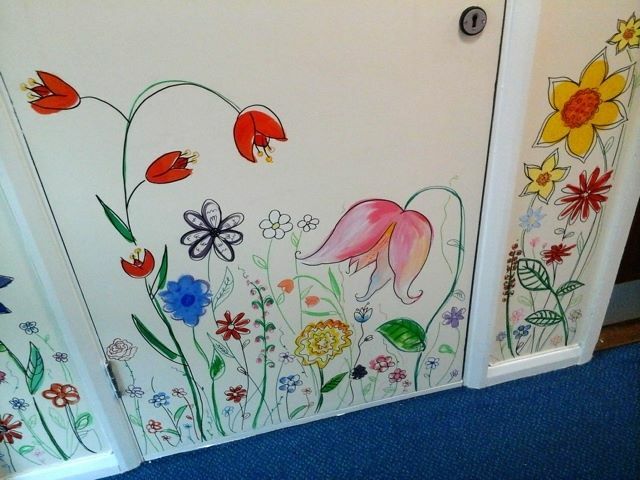 Care homes are now looking at other ways they can liven up communal areas and corridors and the staff at Hammonds Care Home in Bognor Regis decided to approach Jenny S, their CM Artist based in Chichester about painting a mural to brighten up their entrance and hallway. 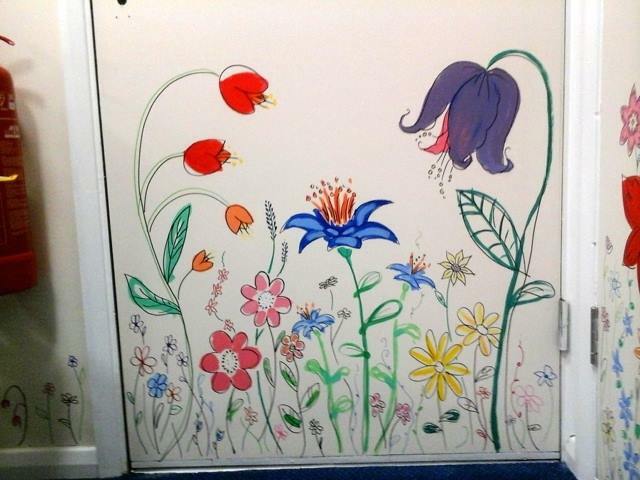 James Hodge, Manager of Hammonds Care Home, explains to us the thought behind the wild flower mural project and how the home has reacted to their fabulous custom artwork! 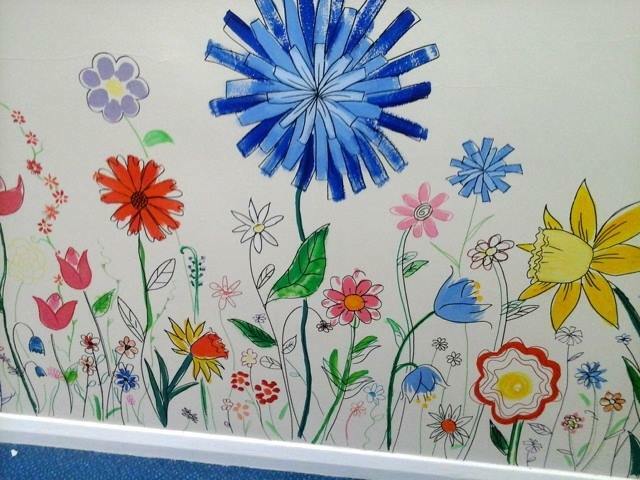 What made you decide to have a mural at Hammonds Care Home? How have the residents and staff reacted to the mural? What’s your opinion on the artwork? James Hodge Manager, Hammonds Care Home. 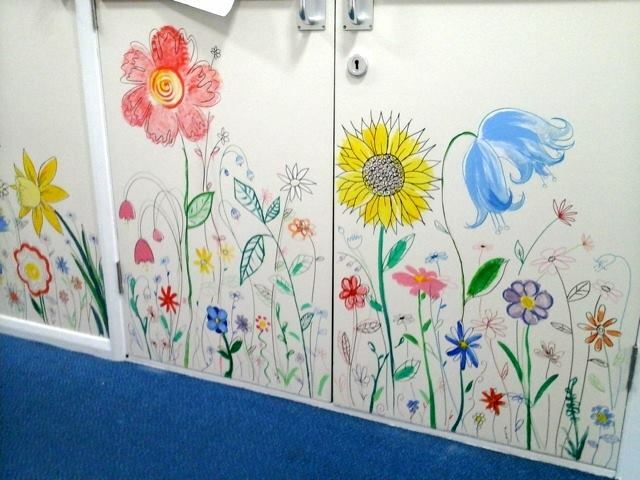 We’ve seen a rise in the number of care homes requesting mural’s and this is a service that our community of experienced CM Artists are more happy to provide. The Appleby Tate, one year on! 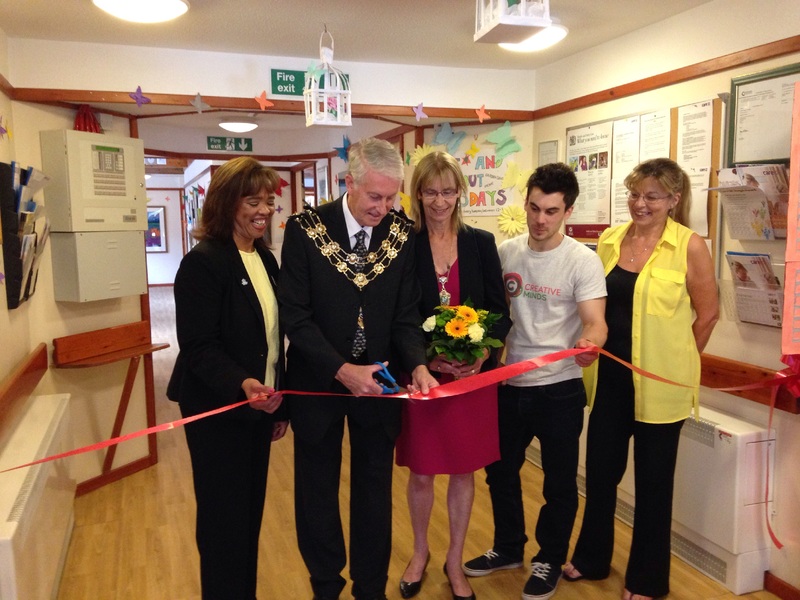 Its been over a year since the opening of the Appleby Tate art gallery at Appleby House Care Home (Care UK) in Epsom, Surrey, which was officially opened by the Mayor and Mayoress of Epsom on Care Home Open Day 2015. 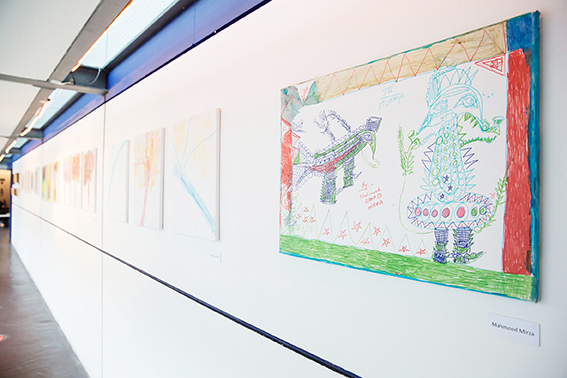 The ‘Appleby Tate’ is an incredible gallery space that has been created to display all of the fantastic artwork created in Art Sessions by the residents. 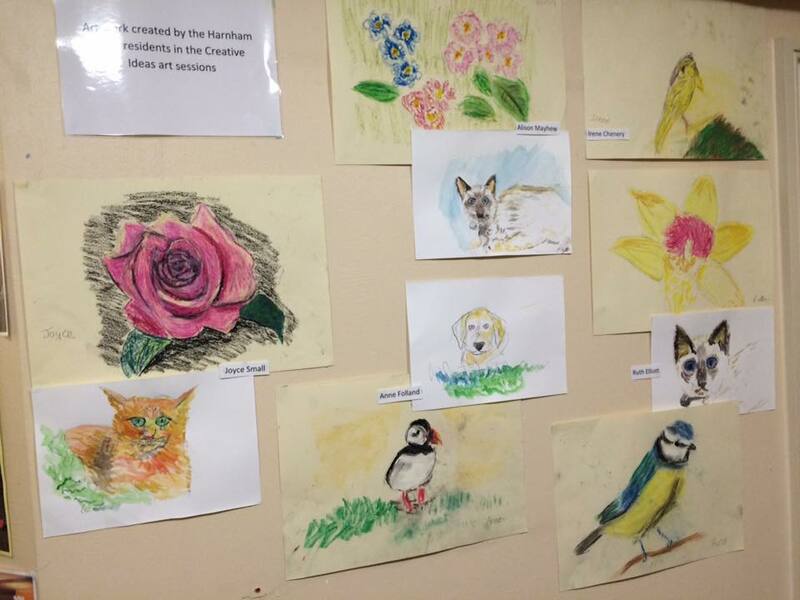 We have been delivering Art Sessions to Appleby House for nearly 2 years now, and the residents most of whom have dementia, have created wonderful art, crafts and sculpture over that time. 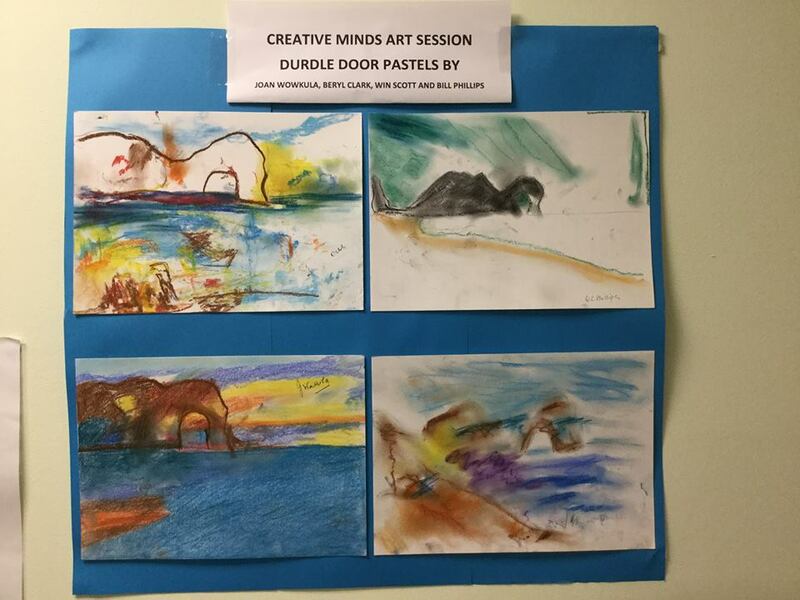 James the founder of Creative Minds use to deliver Art Sessions to Appleby House, which inspired the manager Shona Bradbury and the activities team to transform the space. 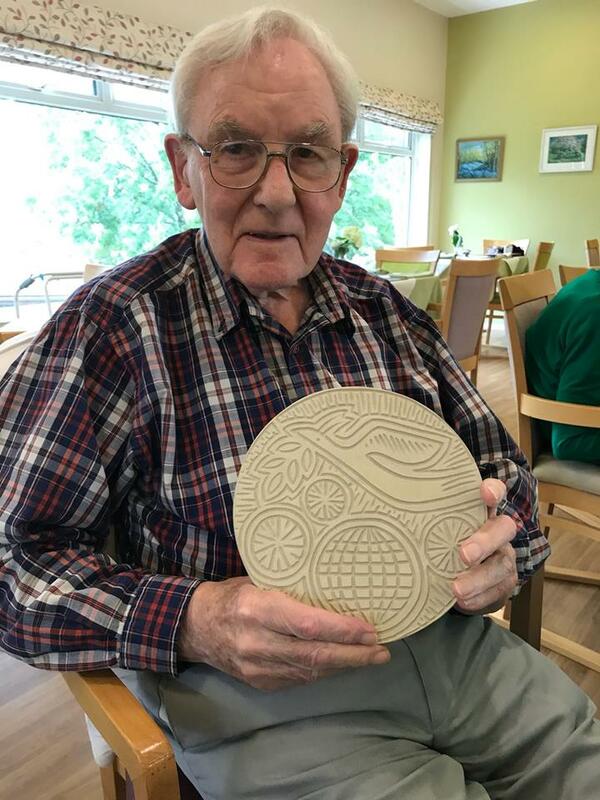 He explains; “The Art Sessions are hugely popular at Appleby House and all of the residents that participate create fantastic artwork, and really immerse themselves in the creative process. 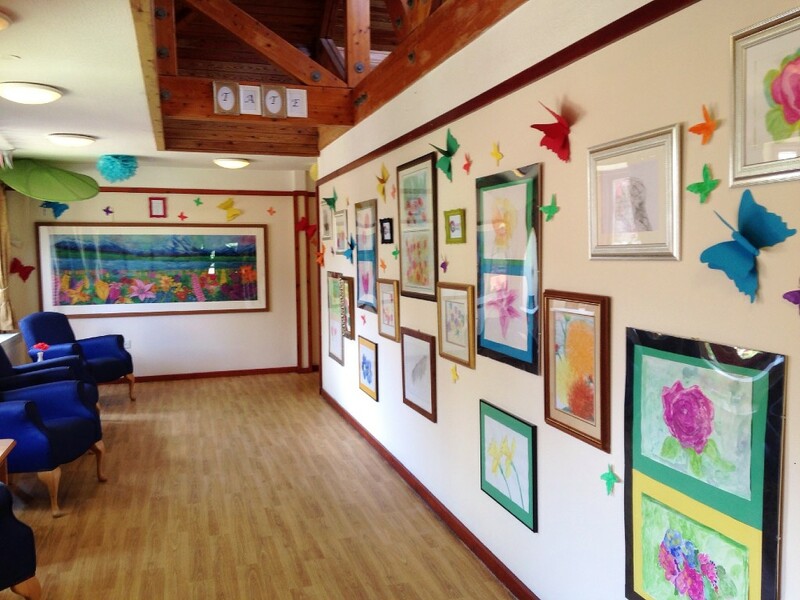 The Appleby Tate started out as a vision to display the resident’s artwork by utilising unused wall space, but with the hard work of Shona and the activities team they have transformed it into an amazing gallery space to showcase all of the resident’s artwork. Its awe inspiring to see and it doesn’t stop at the seating area it continues down the hallway! The Art Sessions have had a profound effect on Appleby House and will continue to do so as the artwork displayed in the gallery is rotated. Recent changes include the brightly coloured gallery walls and the creation of giant flowers on display near the seating area. It is known in health care that participation in an array of activities in care homes is vital in maintaining an individual’s health and well-being. 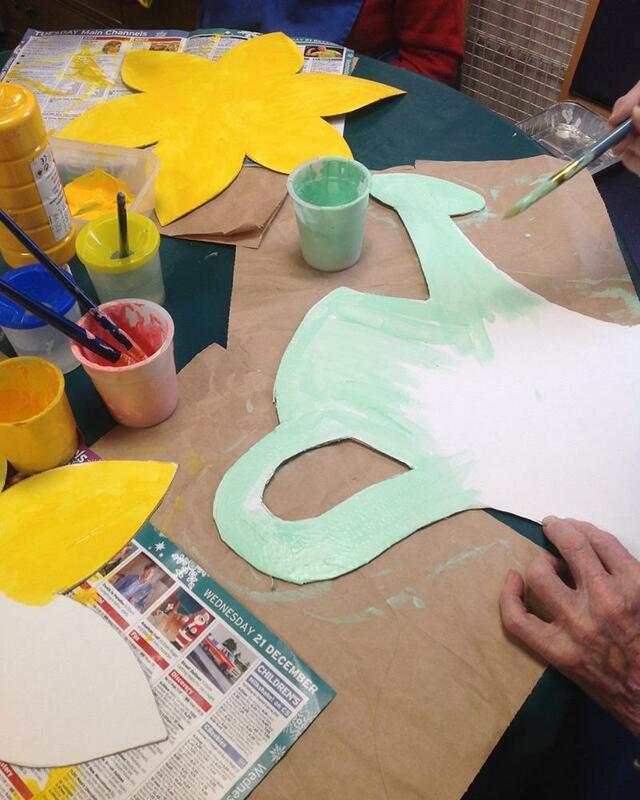 Our Art Sessions provide a relaxing environment for the residents to explore their creativity and feel engaged and empowered through the use of various materials and mediums to create their art. Residents, staff and family members have noted that our sessions help to reduce agitation, improve mood, dexterity, social cohesion and boost levels of self-esteem and confidence. 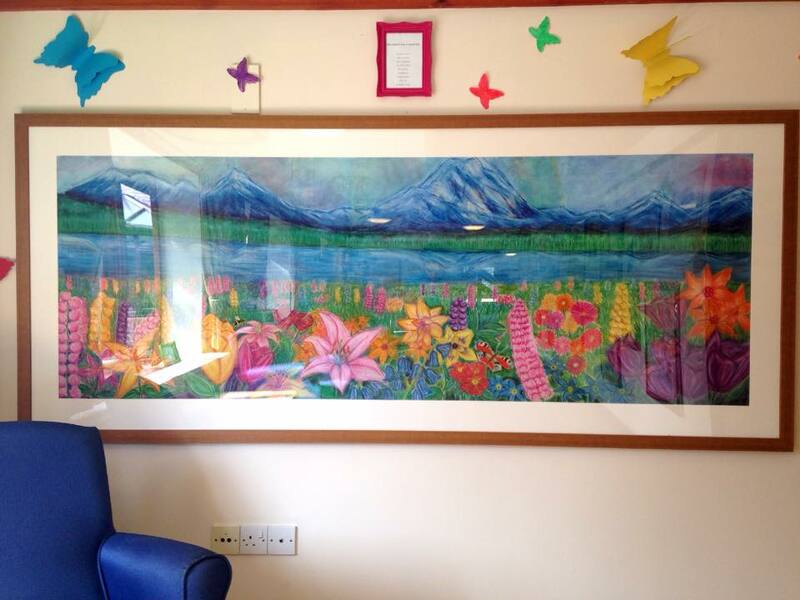 In addition, residents regularly produce beautiful artwork, which can be displayed, like the Appleby Tate, throughout the care home. The Appleby Tate is a testament to the impact that the Art Sessions can have on a care home and an indication as to how they can impact other types of venue. 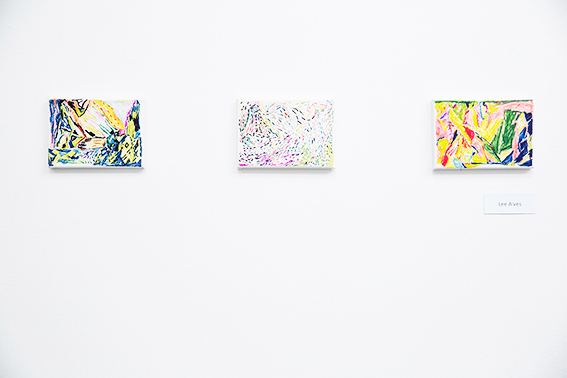 Our goal is to continue to nuture and encourage the venues we work with to display the artwork created by the participants, and we’re certain more Appleby Tate like art galleries will emerge as a result. 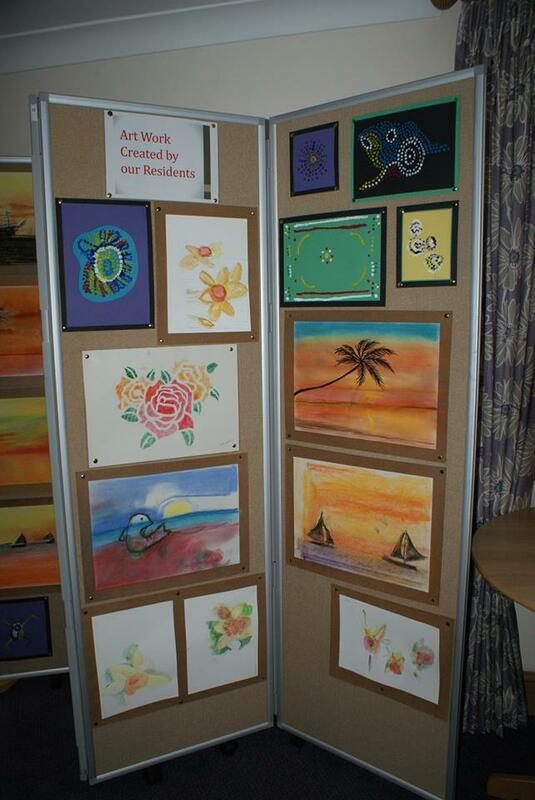 From calming pastel paintings to vibrant acrylics residents create amazing artwork at Creative Minds sessions. But then what? The last thing anyone wants is for that wonderful expression of creativity to end up neglected in a corner. 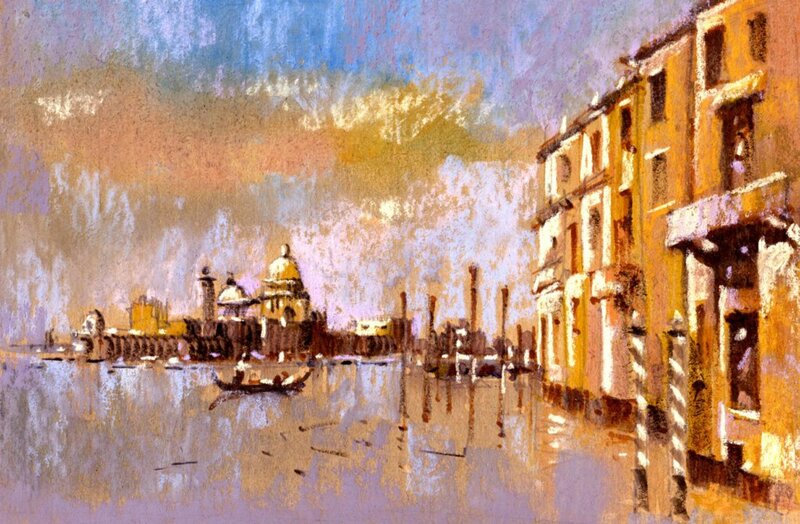 Research shows that experiencing art decreases stress levels: visibility leads to value! Can provide a memory jog for the residents, back to the point of creating when there was a sense of relaxation, joyfulness and fun. There are plenty of options for displaying artwork. It helps to ensure its cohesive (e.g. similar pieces together). Do set a time-frame too – you don’t have to display everything at once – freshening up the space by regularly changing the artwork gives a new perspective and improved sensory experience. Framing a piece of artwork totally elevates its status. Cheap frames are readily available, either from charity or discount shops (such as The Range or Ikea). I have been working with one lady, in her 90s, who’s been telling me: “I can’t draw Sarah Jane, you do it for me.” Recently, she created a beautiful watercolour flower painting. 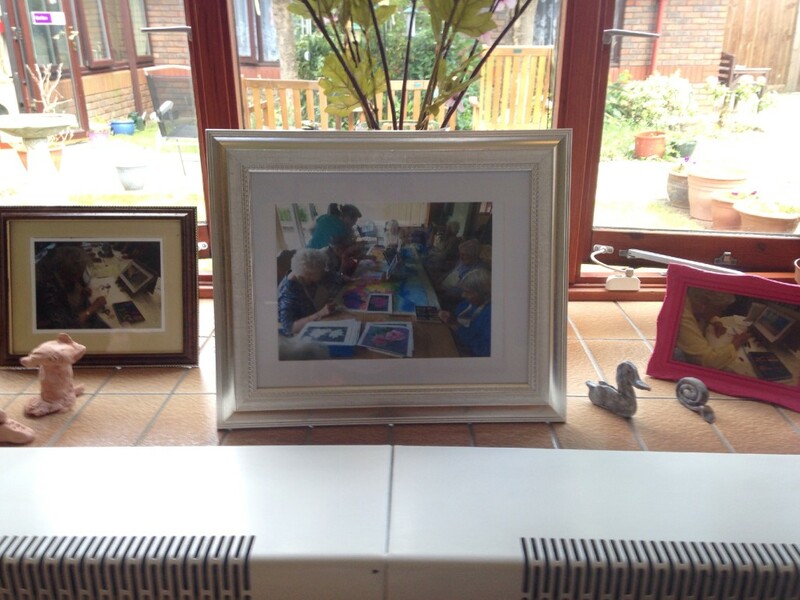 I suggested we frame it – to say she was pleased with the result is an understatement! She’s since created a lovely oil pastel painting of a pheasant – again, the frame made it sing and she is absolutely thrilled with it. 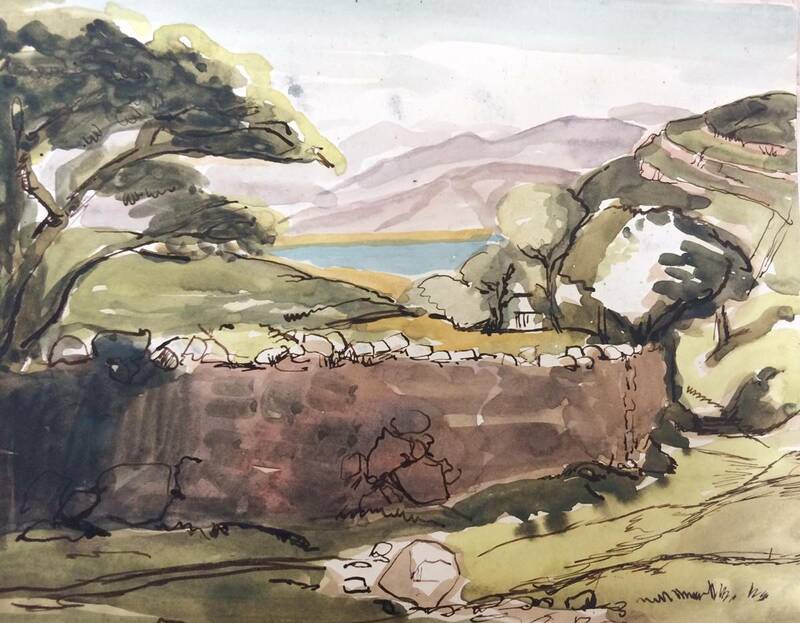 From someone who insisted they couldn’t draw (and believed it for over 90 years) to someone whose self-esteem has improved dramatically – achieved by just framing the work! The simplest way is to put the work up with blu-tak. Creating a paper or cardboard mount will also frame the work nicely. 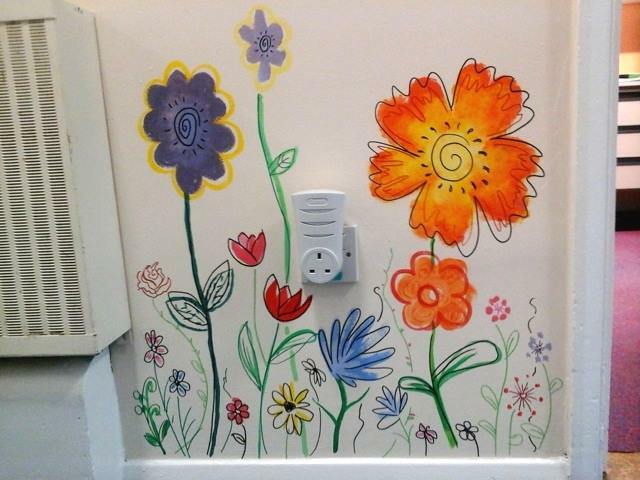 You could create a project, such as a garden theme, to cheer up a bare wall. Sometimes space is at a premium so a row of pictures on a shelf can really brighten up a room. Also, using display cabinets, particularly for models, is an effective method. Small display easels are a fun idea for smaller pictures too and can easily be moved around. A large pinboard or mobile wall allows you to display work simply and can be refreshed regularly. Presenting some work in an A3 portfolio case is also a good option, especially by the entrance to show visitors on arrival. 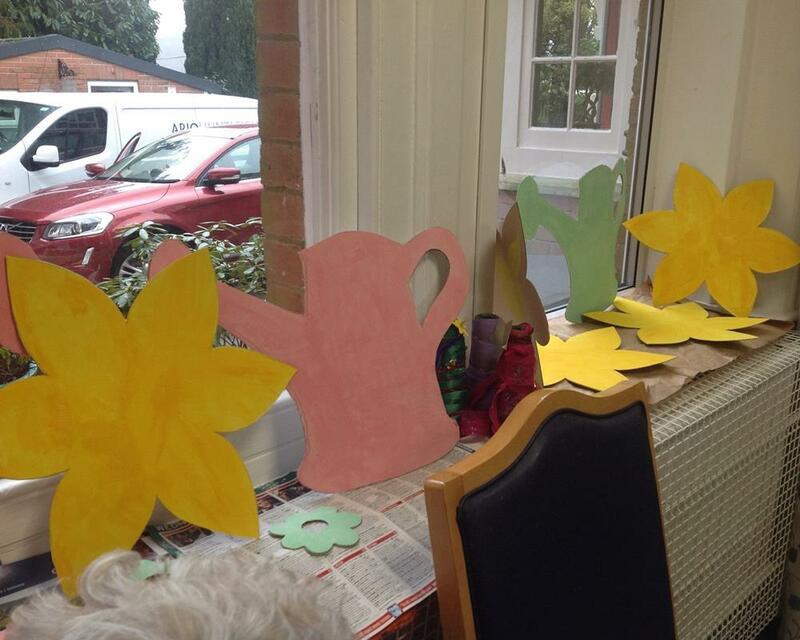 Items such as clay pots and coasters are a lovely way to create art that can also be used in the care home environment. Other creations, such as fun mobiles, can be shown off using fishing line and hung up, and suncatchers look beautiful on a window. Ideally, a combination of the above can really help make a home a vibrant, fun, stimulating environment. One fantastic example is the ‘Appleby Tate’. Appleby House Care Home in Epsom, Surrey held an open day where the Mayor and Mayoress of Epson and Ewell officially opened the ‘Appleby Tate’ gallery. 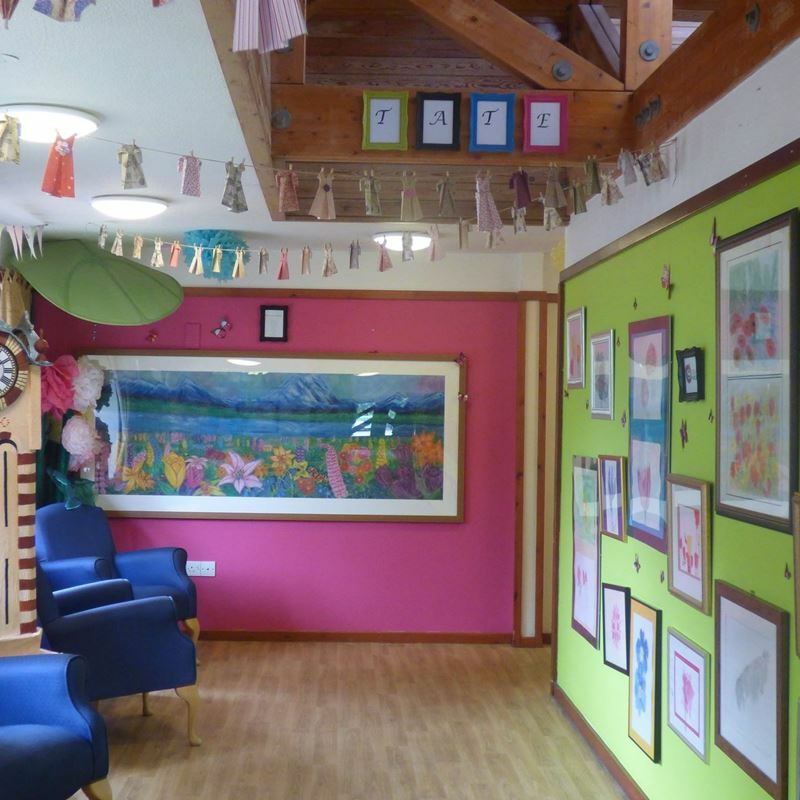 The ‘Appleby Tate’ is a stunning gallery space within the care home, which is used to display all the fantastic artwork created by the residents in the Art Sessions. The Appleby Tate gallery provides a therapeutic space within the care home where the residents can relax, admire and meet with their relatives and visitors. It also provides a talking point for residents, encourages a social atmosphere, creates a lovely environment for the residents to live and seeing their artwork on display gives them a real sense of achievement and, we believe, empowerment. 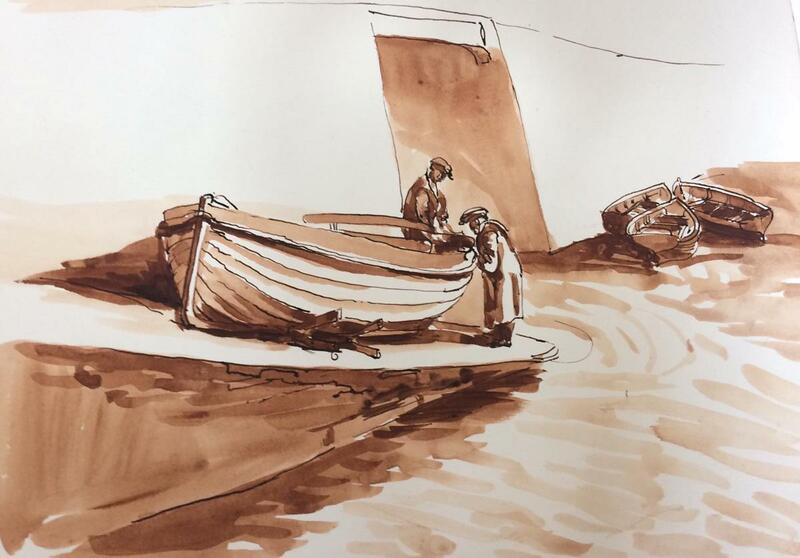 Blog post by Sarah Jane, CM Artist. On the 19th June 2015, Appleby House Care Home in Epsom, Surrey held an open day where the Mayor and Mayoress of Epson and Ewell officially opened the ‘Appleby Tate’ gallery. 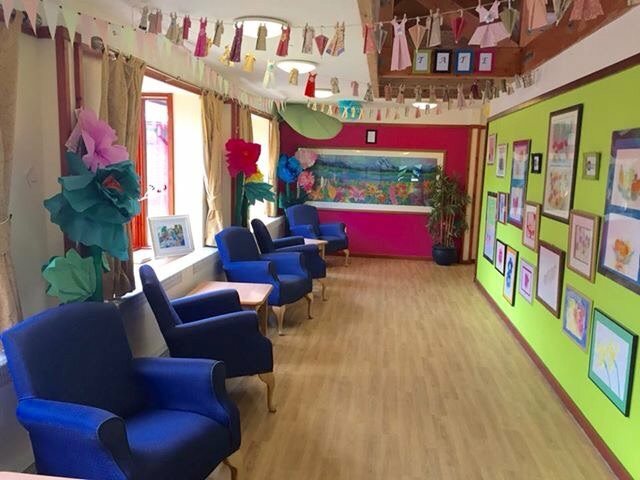 The ‘Appleby Tate’ is an stunning gallery space within the care home, which is used to display all the fantastic artwork created by the residents in the Art Sessions. The Appleby Tate gallery provides a therapeutic space within the care home where the residents can relax, admire and meet with their relatives and visitors. It also provides a talking point for residents, encourages a social atmosphere, creates a lovely environment for the residents to live and seeing their artwork on display gives them a real sense of achievement and we believe empowerment. Undoubtedly one of the most impressive pieces of art in the exhibition is the huge pastel landscape (picture featured) that took the residents five Art Sessions to complete; it is now beautifully framed and proudly on display for all to admire. 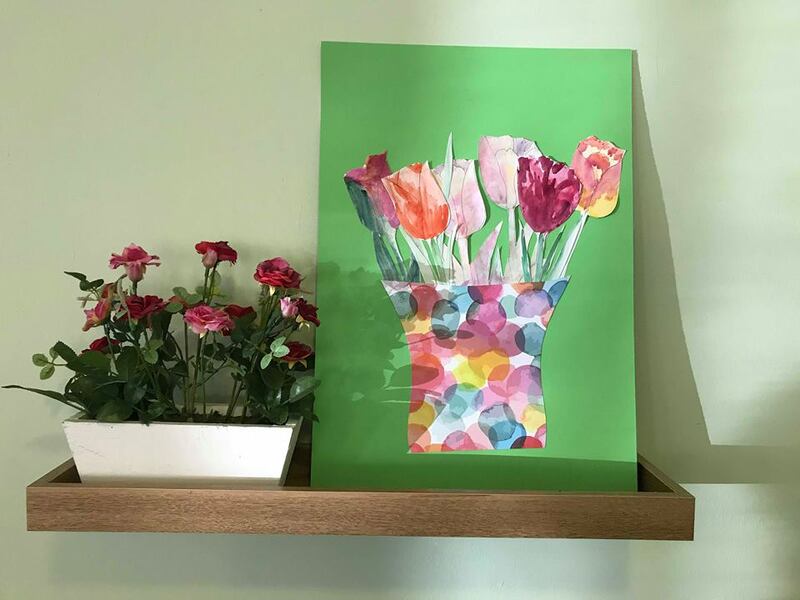 James Cropper the Founder and Director of Creative Minds, has been delivering Art Sessions to Appleby House, part of Care UK, for over a year and the residents have created a vast amount of artwork during the sessions exploring different mediums and materials. It is known in health care that participation in an array of activities in care homes is vital in maintaining an individual’s health and wellbeing. 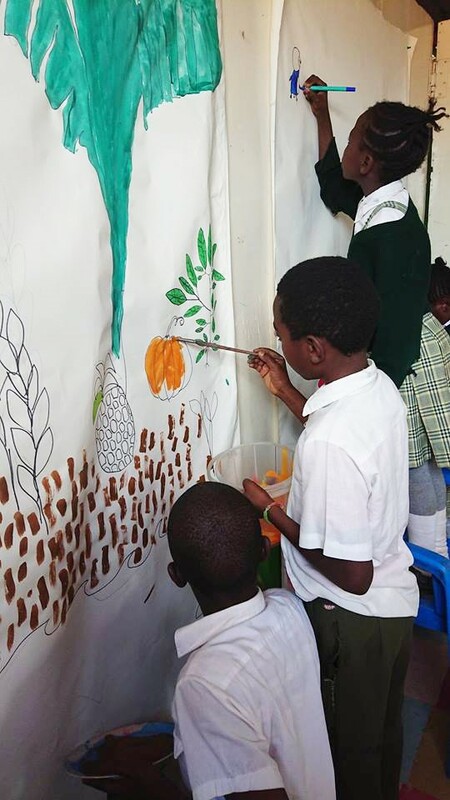 Our Art Sessions provide a relaxing environment for the residents to explore their creativity and feel engaged and empowered through the use of various materials and mediums to create works of art. Residents, staff and family members have noted that our sessions help to reduce agitation, improve mood, dexterity, social cohesion and boost levels of self-esteem and confidence. 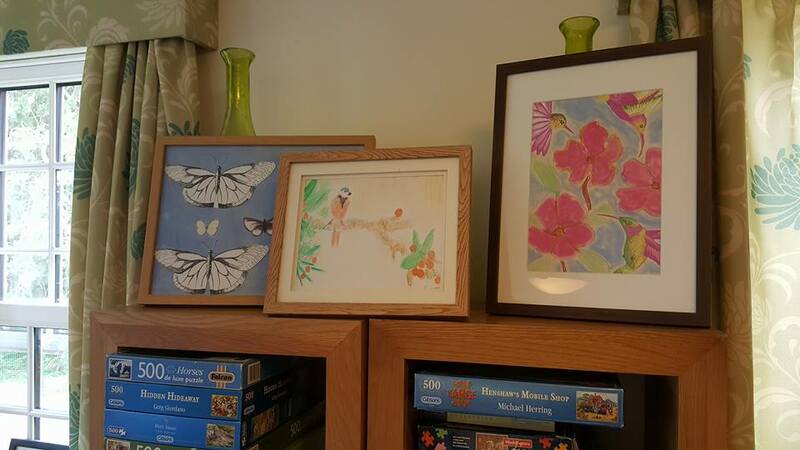 In addition, residents regularly produce beautiful artwork, which can be displayed just like the Appleby Tate, throughout the care home. 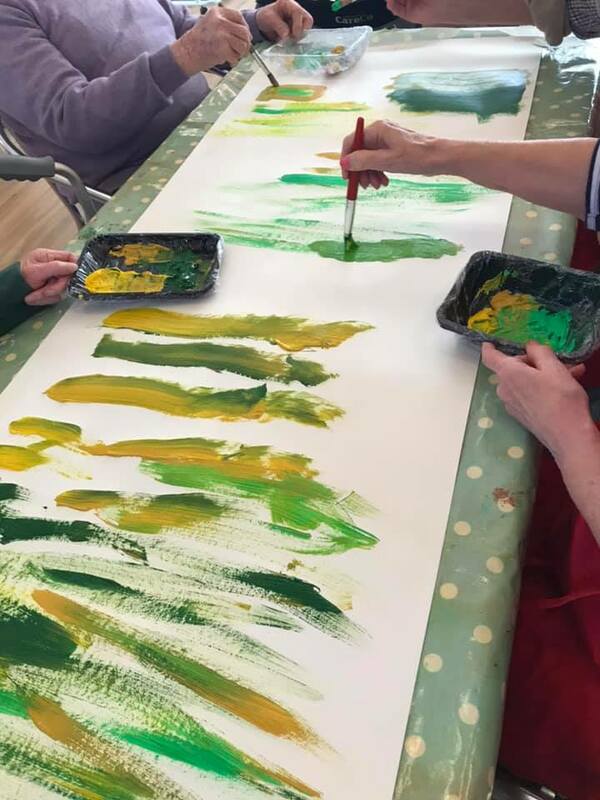 It is our aim as a growing community is to enrich the lives of as many people as possible through our empowering and enhancing Art Sessions across the UK every day!